You are currently browsing the The Pet Product Guru blog archives for the day Sunday, August 26th, 2012. You come home from work to find your dog missing. You notice that you left the back door open. Now how are you going to get him back? A little foresight of course could have prevented the problem. First of all your dog should be micro-chipped. This way if someone finds him and takes him to the vet, the vet will read the micro chip and see all of the owners information. The i-phone has a new app called lostpettracker.com. Anyone who finds a lost pet can open up the app on their i-phone, photograph the pet, provide details and hit the “send” button. Owners of missing pets get an e-mail showing the photo and the details as well as a map that shows the GPS location as to where the pet was located. The internet has some sites that also may be helpful. Flealess Market’s Lost Pets International page (flealess.org/lostpets) lets owners post missing pet information on a state-by-state basis. There are also many GPS devices that help to track lost pets. Roam EO uses a handset to track your pet. The Tagg pet tracker (pettracker.com) links to cellphone networks. Prices start at about $100. There’s also a good tutorial on dog tracking collars at mydogtrackingcollars.com. There are many ways that today’s technology can really help. 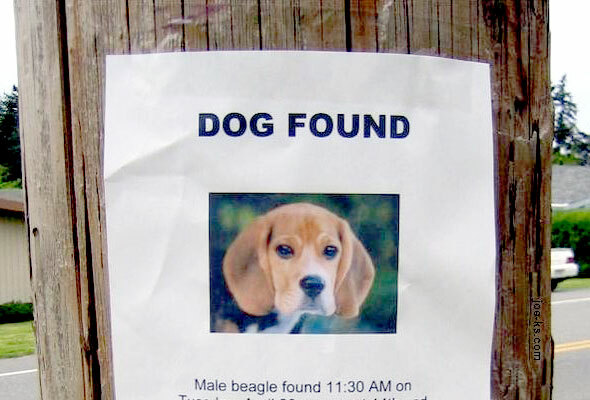 A lost pet is one of the most stressful situations.